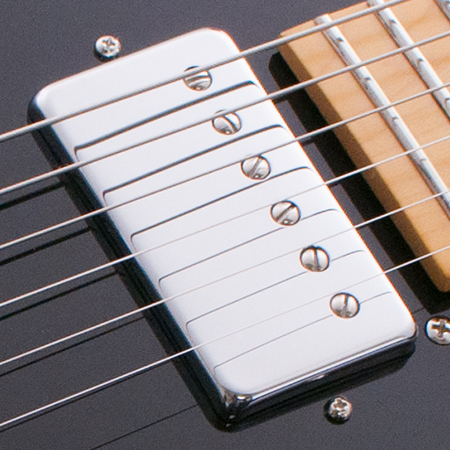 Raw, classic tone, but wound slightly hotter and thicker sounding than a vintage P90, making it perfect for the bridge position. 43 gauge wire, alnico 5 magnets, 13K ohms. 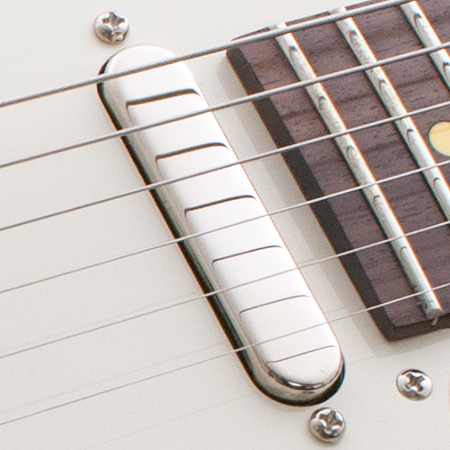 Slightly cleaner than a vintage P90, with clear, open tone. 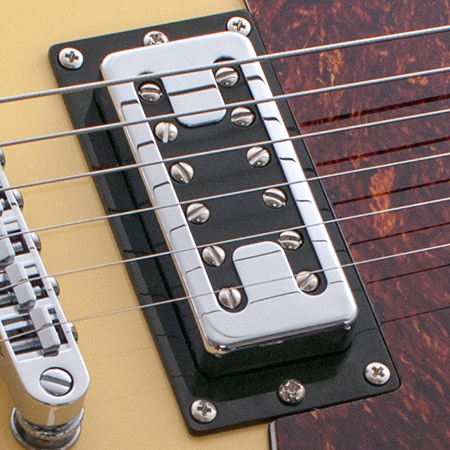 Middle pickup is RWRP for hum-cancelling when used with bridge or neck pickups. 42 gauge wire, alnico 5 magnets, 7.5K ohms. 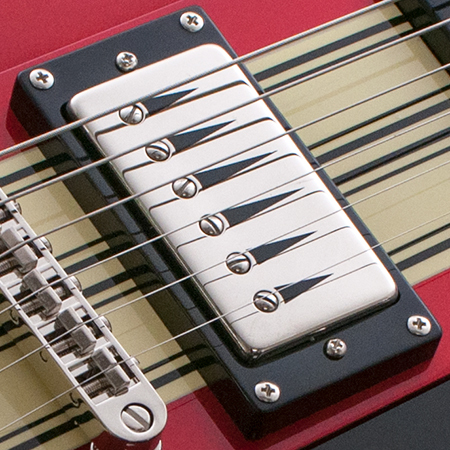 Based on a mid 1960’s Supro pickup. 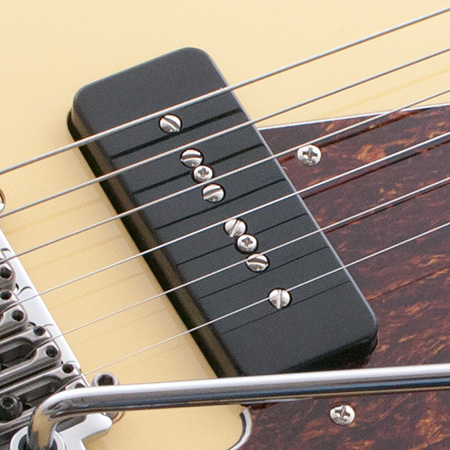 Hot single coil with a second blade polepiece in addition to the screw polepieces. 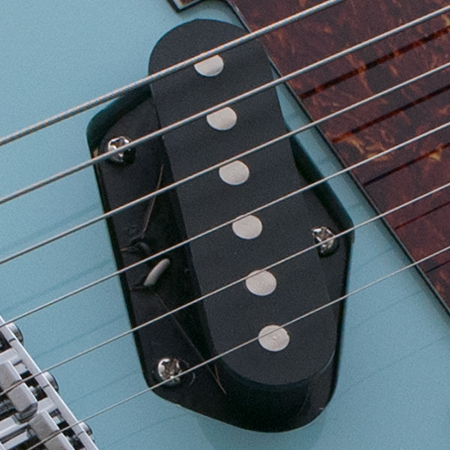 Unique tone sounds like P90 meets Tele with humbucker output… fat, raw and clear. 44 gauge wire, ceramic magnet, 12K ohms. 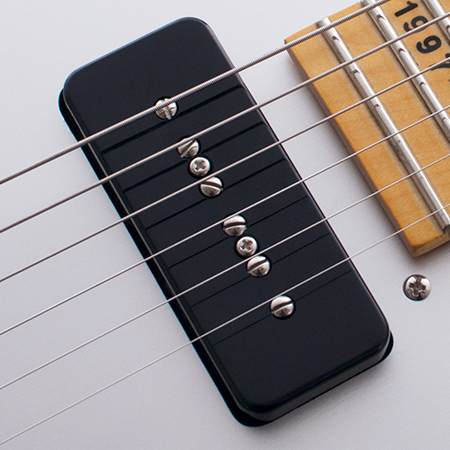 Slightly hotter and warmer sounding than a traditional T pickup. Fat tone but still has bite and a percussive attack. 42 gauge wire, ceramic magnet, 7K ohms. 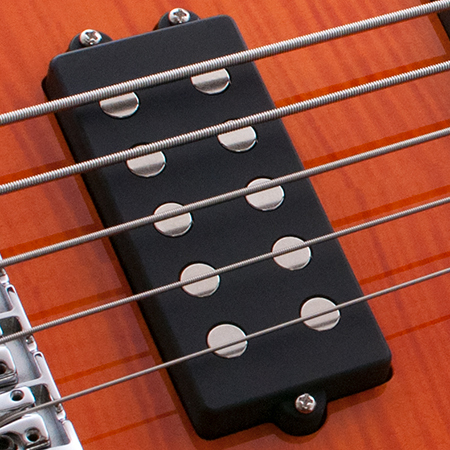 Classic style humbucker, but wound slightly hotter than vintage for extra drive and punch. Warm but open tone with excellent clarity. 43 gauge wire, alnico 5 magnet, 13K ohms. 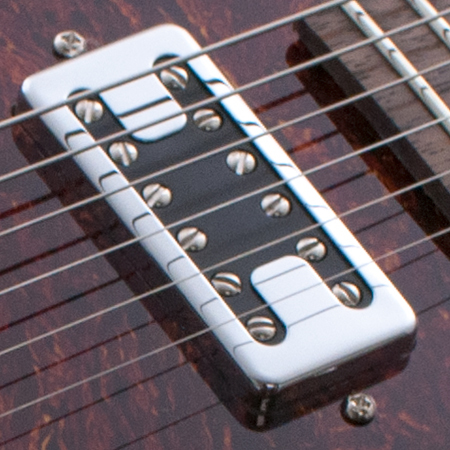 Vintage PAF style humbucker. 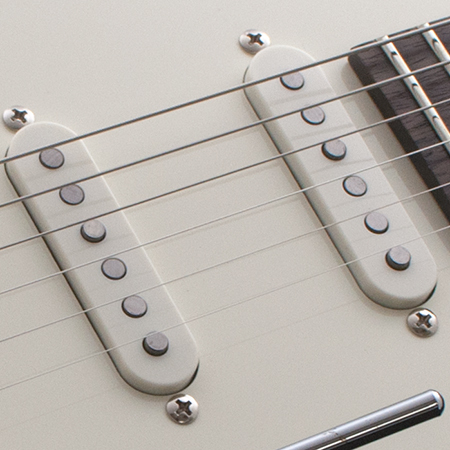 Warm but open tone with slightly relaxed mids and excellent clarity. Slightly underwound for neck position. 42 gauge wire, alnico 5 magnet, 7.5K ohms. Slightly hotter than a vintage F-tron for extra punch and sustain the originals lacked. 42 gauge wire, alnico 5 magnets, 7.5K ohms. Slightly hotter than a vintage F-tron for extra punch and sustain the originals lacked. 42 gauge wire, alnico 5 magnets, 5.5K ohms. Traditional S tone but slightly warmer sounding. 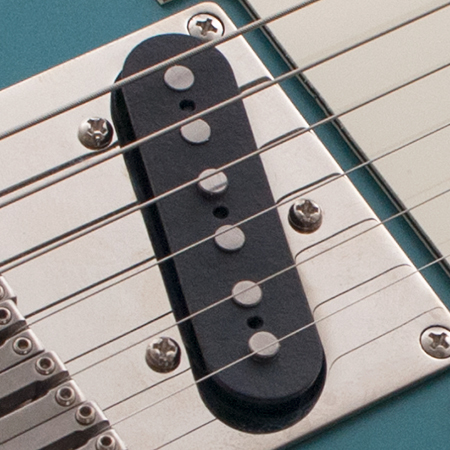 Middle pickup is RWRP for hum-cancelling when used with bridge or neck pickups. 42 gauge wire, alnico 5 magnets, 6.5K ohms. 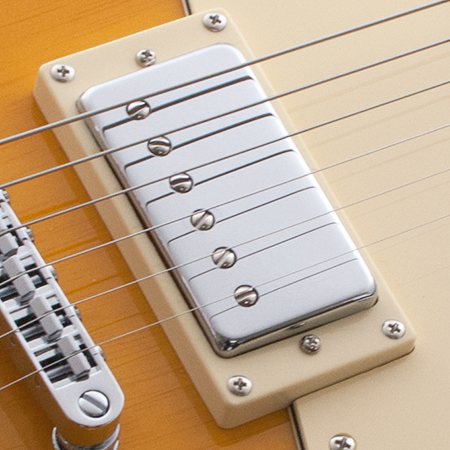 Early 50’s tone for a traditional but thicker twang that’s never harsh. 43 gauge wire, alnico 5 magnets, 7.5K ohms. Traditional T tone but with extra punch and clarity. 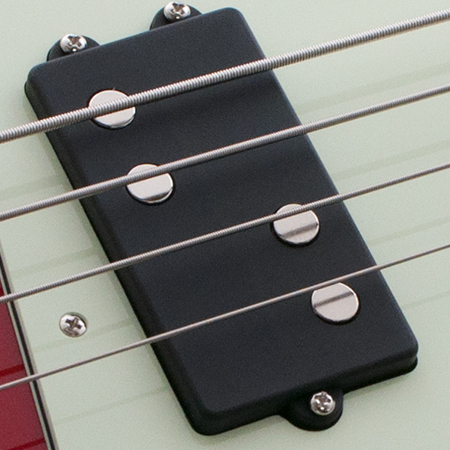 RWRP for hum-cancelling when used with bridge pickup. 42 gauge wire, alnico 5 magnets, 6.0K ohms. 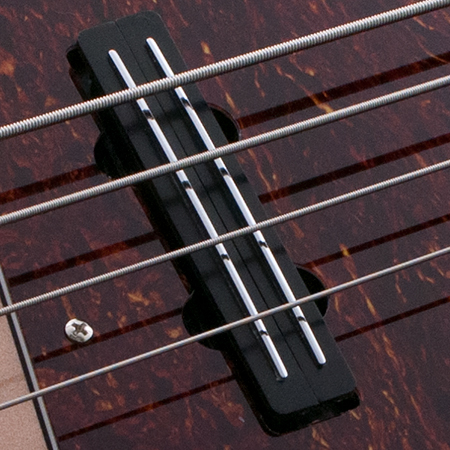 Warm mids and a focused attack, enhanced output, and still percussive when you dig in. Hum-free. 43 gauge wire, ceramic magnet, 14K ohms. 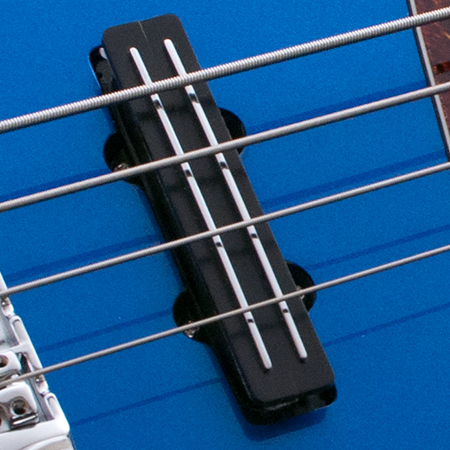 Focused tone with big highs and lows, enhanced output, and still percussive when you dig in. Hum-free. 42 gauge wire, ceramic magnet, 8K ohms. 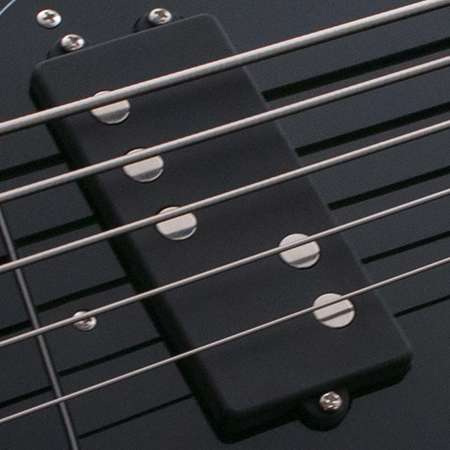 Captures the classic P-bass character, but with increased volume, sustain, clarity, and extended low end response. 42 gauge wire, ceramic magnet, 12K ohms. Strong lows and highs, open mids. 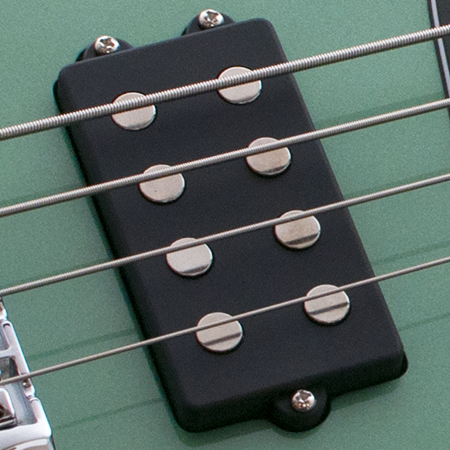 Like a vintage P bass pickup but with more beef, yet retains clarity. 43 gauge wire, ceramic magnet, 9.5K ohms. Warm and thick with strong mids. 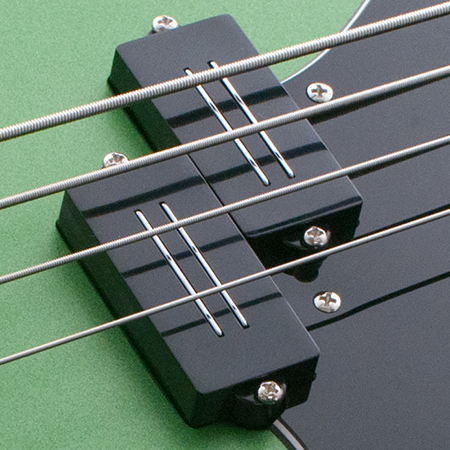 Output and punch like an active, but more organic sounding. 42 gauge wire, ceramic magnet, 8K ohms.